New French essay on the return, natural or planned, of wild species in European landscapes and the related human-wildlife conflicts, by Pierre Athanaze. Longterm member of the French Council for Game and Wildlife Conservation (Conseil national de la chasse et de la faune sauvage CNCFS) and administrator of the National Office for Game and Wildlife Conservation (ONCFS), he founded the label « Réserves de vie sauvage » , in his function as president of the French Association for the Protection of Wild Animals (ASPAS). 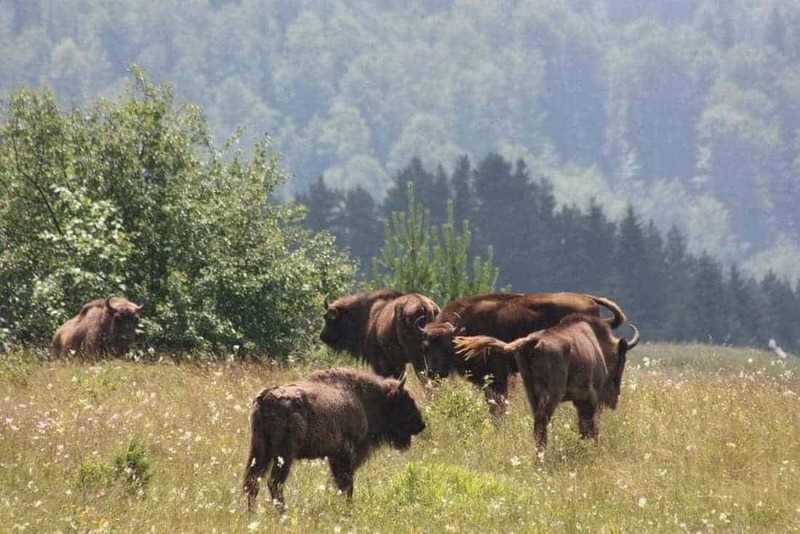 Numerous are the species that, after having almost disappeared from the European territory, now return back – wolf, lynx, mosse, tarpan and bison, sturgeon and salmon are amongst them. These returns are sometimes of natural reason, but also results of reintroduction programmes, such as for the vulture, bear and sturgeon. Either spontaneous or or evoked, these returns have almost a levering character : not only that wilderness arouses fear and various fanaticism, it also questions traditional practices, especially in the agricultural and pastoral sectors. The co-habitation is thus difficult but necessary, and the return of the wild species can’t go without the restoration of wild spaces. Finally, the return of the wild and diverse fauna gives hope to resolve certain problems of our times: biodiversity loss, climate change, economic crisis.